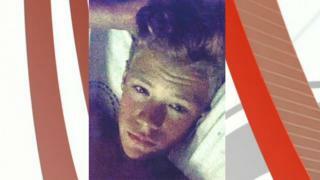 The death of a teenage motorcyclist in a crash on Teesside is being treated as murder, police have said. Sonny Stephenson, 17 and from Guisborough, died in the crash just after 21:15 BST on Sunday on Bolckow Street in the town. A 15-year-old pillion passenger was also injured, but has since been discharged from hospital. Cleveland Police said it had arrested a 34-year-old local man on suspicion of murder and attempted murder. The force is still appealing for people who were in the area at the time - in particular a person walking a dog just prior to the incident - to get in touch.